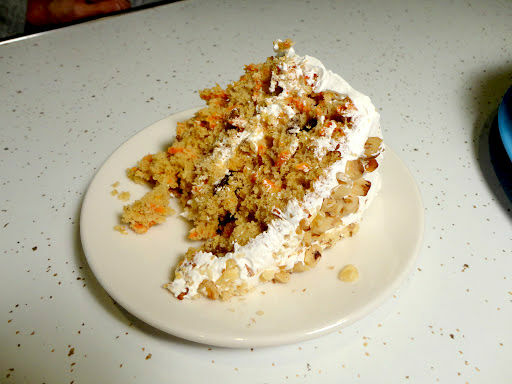 Thought y’all might like last week’s Carrots with a Twist recipe from my Cool Whip Frosting post. The recipe actually comes from a Cake Mix doctor newsletter I saw years ago. It’s incredibly easy to throw together and your family will love it. Preheat oven to 350 degrees. Grease 2 round cake pans. I use nine inch pans. Put cake mix, pudding mix, orange juice, oil, eggs and cinnamon in a mixing bowl. Beat for 2 minutes on medium speed. Batter should be thick. Fold in carrots, raisins and nuts. 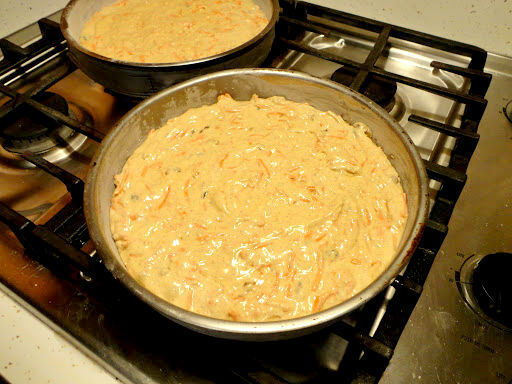 Divide batter between pans. Bake till golden brown and cake springs back when pressed with a finger, about 30-35 minutes. Cool in pans for 10 minutes. Remove and allow to cool on wire racks for 30 minutes before frosting. Didn’t I tell you it was easy? The cake turns out amazingly dense and moist. 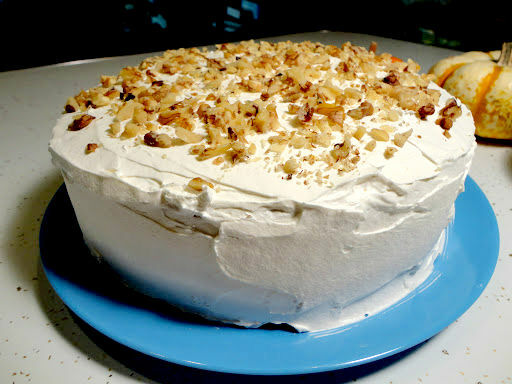 It’s been our fave carrot cake for years now.